I was at the Scottish Association of Writers Conference for the very first time. I was a little nervous about going by myself and not knowing anyone bar Wendy H Jones. I needn't have worried. Everyone was so friendly and welcoming. There were many workshops during the weekend which were very interesting and informative. I chose Becoming an Children’s Author: Before and After by Barbara Henderson, Beginner’s Guide to Reaching Your Readers Online by Gillian Duff and Successful Independent Publishing by Robin Cutler. I thoroughly enjoyed and learned something from every workshop I attended. With so many different writers at very different stages, at the conference, it was great to get everyone's different ideas on the content of the workshops. I entered my book - I Can Create Stories - into the competition for a self-published book. I waited nervously when this section was judged. I didn't realise how much I wanted to hear what the judge thought of my book.. I didn't win. First prize went to Philip Paris. I was very pleased with the judge’s comments on my book. 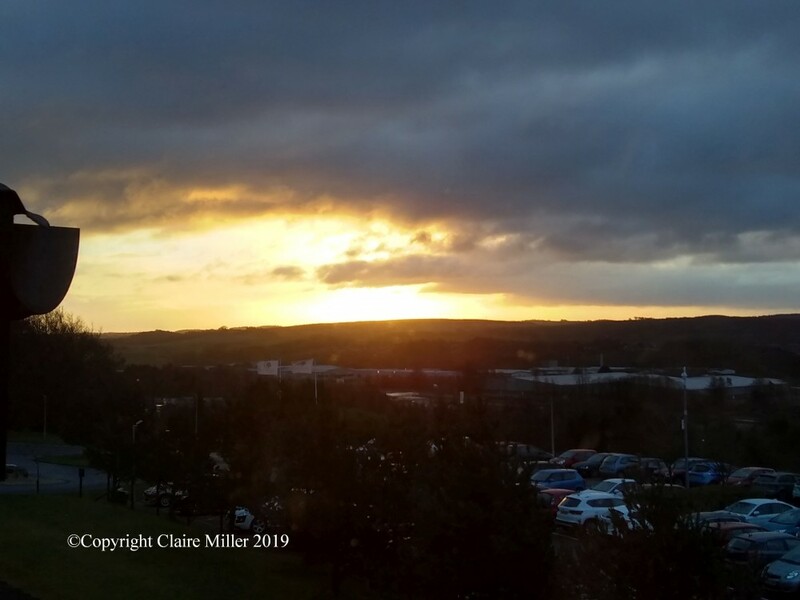 The picture in this blog is the view from my window on Sunday morning. Have you been to any conferences? If yes, what was the conference and what did you think of it? I would love to hear from you if you’d like to contact me.